How to recover deleted reminders from iPhone 7? How to recover deleted reminders from iPhone 7? How to retrieve iPhone 7 deleted reminders? Read here to get back lost reminders from iPhone 7 at ease. I need to find some deleted reminders from iPhone 7 which lined with my conference. Is that possible? whether I have an iPhone backup for those deleted reminders, but I really need to get back them, please help me, thanks very much. Speaking of reminder app, it is a great helper to keep important events in it and set alarm to remind us just in case of forgetting significant things. Thus, it is also troublesome when reminders are deleted from iPhone, like notes and contacts. So is there any way to recover deleted reminders from iPhone 7? How? Just keep reading here and you will fresh up and get a method to find lost reminders on iPhone 7 easily. When it comes to iPhone reminders recovery issue, the easiest way to get them back is via iFonebox, a professional iPhone data recovery tool which enables you to retrieve deleted reminders from iPhone directly, with or without iPhone backup. Also, if you have an iTunes or iCloud backup for deleted data, iFonebox allows you to extract and restore lost data from iPhone backup selectively. Pretty attractive. Other data like text messages, wechat data, whatsapp messages, etc, can also be retrieve within the help from iFonebox. 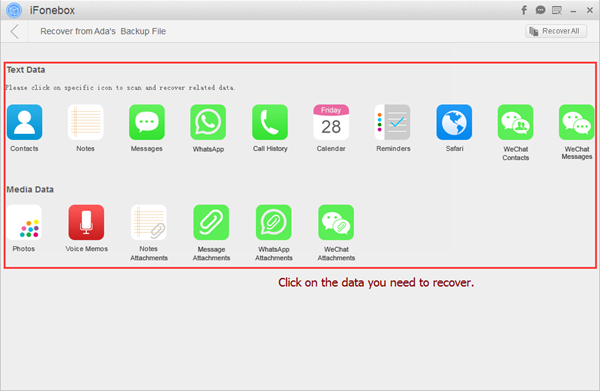 In order to recover deleted reminders from iPhone via iFonebox, it is necessary to download and install it on your computer, either windows or Mac computer. Just choose one according to your computer system. Step 1: Install and run iFonebox. Connect your iPhone to your computer. Click the bottom button of Start after your iPhone is detected by iFonebox. If it is the first time to connect your iPhone to the computer, you need to Trust the computer ahead via clicking Yes on your iPhone screen. Step 2: Click on the icon of Reminders to choose Reminders to recover. 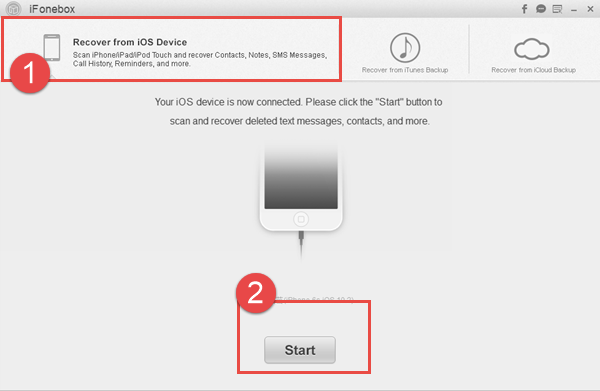 In this way, you are going to export all Reminders on your iPhone, including the deleted or lost ones. Step 3: Preview all the exported Reminders and choose the deleted ones you need to recover. Just click Recover to PC button to transfer all selected reminders to your computer at ease. All are done. 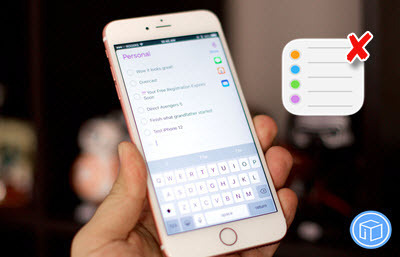 Just three steps, and you can retrieve iPhone 7 deleted reminders easily under the help from iFonebox.